The "Internship Program," led by artist Katsuhiko Hibino was initiated in 1999 to expand the involvement of the public in the ARCUS activities. The program name HIBINO HOSPITAL originates from its first series of programs in which an online hospital was set up to discuss art, combined with an offline workshop to make artworks with the artist. Currently, the program consists of offline workshops only, run by Hibino based on a variety of ideas he prepares for the participants. HIBINO HOSPITAL vol. 74 takes place at Moriya Manabi-no-sato. Please send the information below via TEL or E-mail. Please inform your name, age, member of attendee, contact number and e-mail address to ARCUS Studio (0297-46-2600). HIBINO HOSPITAL (Hibino Art Seminar Hospital Broadcasting Club) led by artist Katsuhiko Hibino was initiated in 1999 to expand the involvement of the public in the ARCUS activities. 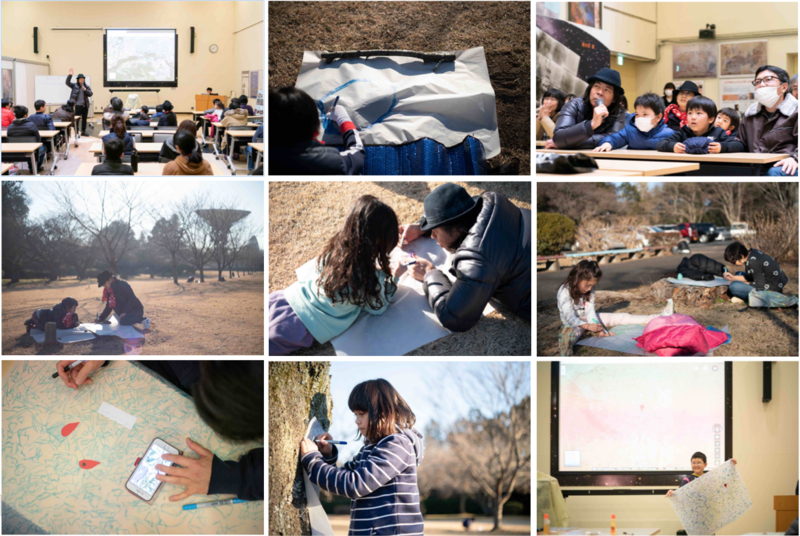 The program name HIBINO HOSPITAL originates from its first series of programs in which an online hospital was set up to discuss art, combined with an offline workshop to make artworks with the artist. Currently, the program consists of offline workshops only, run by Hibino based on a variety of ideas he prepares for the participants.